States. I have participated in Mental Health Blog Day when I’m able not only because I deal with mental illness myself in the form of depression and anxiety, but also because of a so many other migraine and Headache Disorders patients do, too. Both considerations have inspired me to focus on the comorbid relationship between mental health and Migraine for my Mental Health Blog Day post this year. This year’s Awareness Month theme is Pathways to Wellness, which actually fits well into the direction I was naturally inspired to go in my writing. According to one study from 2009, 22% of Migraine patients experienced major depressive episodes. Among the non-Migraine population, 14.9% experienced major depressive episodes. A 2004 study examining the prevalence of anxiety among Migraine patients found 9% experienced anxiety. Only 2.5% of study subjects not living with A migraine experienced anxiety. Despite the findings of these two representative studies, some researchers have observed anxiety as more common among Migraine patients than depression. Appropriate treatment of A migraine often leads to better management of a comorbid mental health condition and vice versa. So knowing patient deals with both issues helps the person’s health care providers approach the situation from a more well-rounded perspective. Experts recommend every Migraine and Headache Disorders patient be screened for comorbid mental health conditions. Just to be clear: This is not because anyone thinks your condition is all in your head. Rather, in the interest of providing the best possible care, it is highly important to identify and treat all conditions contributing to or exacerbating our Headache Disorders. Have you been screened for a comorbid mental health condition? 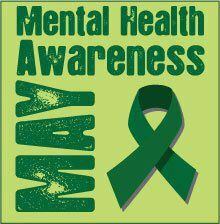 If not, will you commit during this year’s Mental Health Awareness Month to ask your doctor about the issue? Do it for you! 1. Diana Lee, “Comorbidities: Anxiety,” Migraine.com, Feb. 2, 2012, https://migraine.com/blog/migraine-comorbidities-anxiety/. 2. Diana Lee, “Comorbidities: Depression,” Migraine.com, Feb. 14, 2012, https://migraine.com/blog/migraine-comorbidities-depression/.